Who would think you’d find a car like this in Washington, D.C.? Although it seems like the people crossing the street don’t even notice it. It’s nice to look at, but between people wanting to steal it or deface it, I think it’s probably more trouble than it’s worth. There are enough loonies out there…why give them a reason. 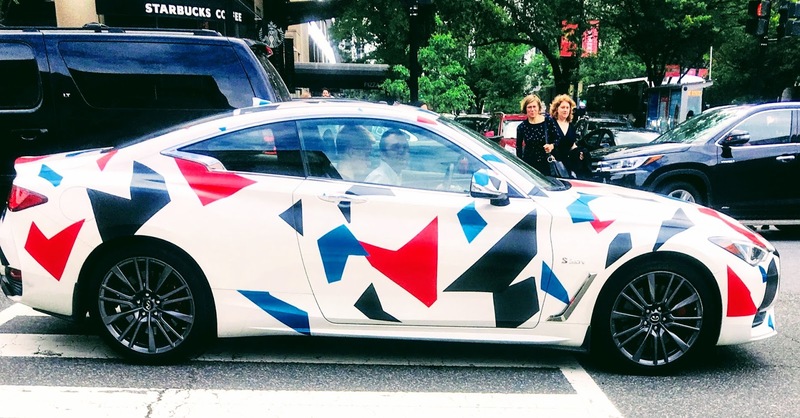 This entry was posted in Art, Automobile, Colorful, Cool, Deface, Design, Ego, Joy Ride, Paint, Photo, Standout, Steal, Style, Tariffs, Trade War, Transportation, Uncategorized, Washington D.C.. Bookmark the permalink.